After a quieter launch than anyone involved with the project wanted, Battlefield V has been climbing uphill to fight in a competitive market that looks very different from the one the series last saw back in 2016. Battle royale has taken over, with the likes of Fortnite and Apex Legends leading the Xbox Gameplay Chart week in and week out. For some, traditional PVP multiplayer like deathmatch and even Battlefield's Rush and Conquest modes feel dated. With that, Battlefield has now entered the crowded fray for battle royale timeshare with this week's launch of Firestorm. I'm someone who welcomes more and more battle royale all the time, but I also know each contender has to stand out from the pack to succeed. Playing Firestorm this week revealed to me what DICE's version of the mode does uniquely well: it's by far the stealthiest of all genre contenders yet. To date, no battle royale has been able to overthrow PUBG in my heart because it's the most methodical, most tactical, and yes even glacial at times — and I love it for those reasons. Black Ops 4's Blackout mode is great, but it clings to its Call of Duty roots in ways I don't love, like the ability perks that can make it feel a bit too arcadey for my tastes. Apex Legends is so smartly balanced and fluid that it's no wonder it's the current hotness in competitive gaming and streaming, but it's even twitchier and more arcadey than Call of Duty. Long-standing champion Fortnite and its fantasy lookalike Realm Royale offer cartoonish versions of The Hunger Games with an appeal for all audiences, but these are obviously the least realistic of all, and I tend to prefer realism in my battle royale, even as I enjoy all these genre titans listed. I was very eager to get into Firestorm, and after several rounds I'm definitely contemplating where it sits in my personal ranking of the burgeoning game mode. For now, it's still not ahead of the maybe insurmountable PUBG, but because of how sneaky it lets you be, it feels like it's settling into second place. The foliage in which you can lie down in Firestorm is absurdly advantageous, to the extent that I initially wondered if it would become a balancing flaw. 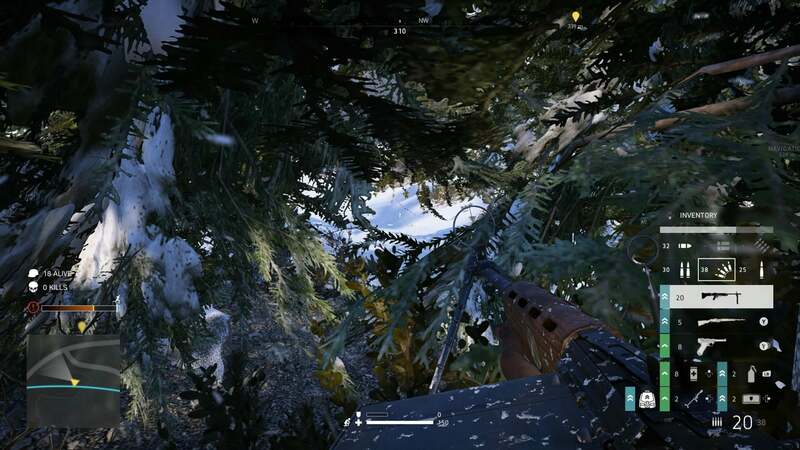 In PUBG, hiding in grass and trees works pretty well, but even from a distance you are usually still pretty vulnerable and somewhat easy to spot to the trained eye. Blackout lets you get low and perform some stealth moves, but its bushes act like solid objects your character can't pass through. Clearly, Treyarch felt the game would lose its balance if they allowed players to hide inside bushes like that. The other aforementioned battle royale leaders all move too quickly and colorfully to ever really care about stealth. Firestorm, however, goes beyond all of these and it turns out the extreme opportunities for stealth are not a bug, but are absolutely a feature. Good luck spotting me in here. No, seriously. I'm basically invisible. In classic Battlefield fashion, the audio design in the game is a masterclass, which lends itself really well to battle royale where every decision means life or death. It's exciting to lie low in the forest as the ring of fire closes in around all survivors, you hear a squad scurry past you like that scene in LOST where they first spot The Others. They have no clue you're there, like all stealth games done well, only this is battle royale and now the stakes are especially high. Without the perk system of Blackout to spoil your plans to sneak about, it comes down to your own personal commitment to staying low, staying quiet, and picking your shots. Combine that with the great feel of Battlefield, which is still present throughout the latest game regardless of its commercial troubles, and this could be exactly the jolt the sequel needs. Firestorm seems to not have much buzz surrounding it right now, just a few days after launch, and I'm a bit surprised to see that. 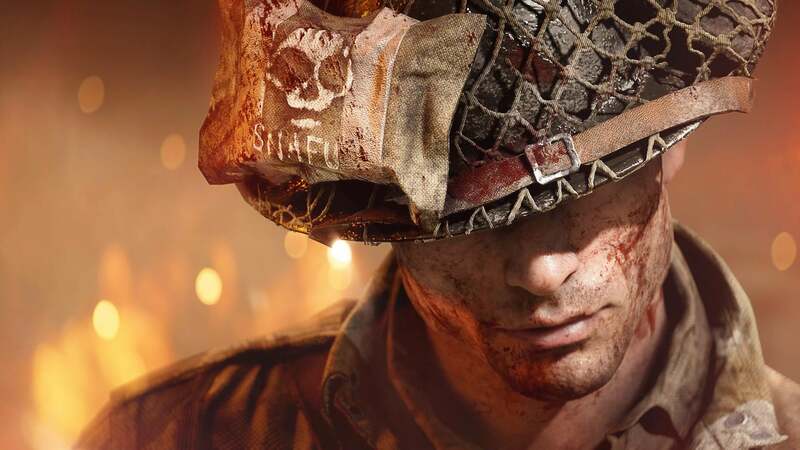 Hurt by its absence at the game's October launch, it feels like many have already moved beyond BFV and found other ways to spend their gaming time, but if you're a fan of battle royale, like I am a huge fan, it's worth booting up Battlefield V once again, especially if you favor when the mode behaves more like PUBG than Apex or Fortnite. It's been a while since a new genre addition got slower rather than faster. For the tacticians, Firestorm is a great companion to PUBG. There aren't a ton of stealth PVP experiences. The old days of Splinter Cell's Spies versus Mercs was a fun mix of stealth and action, as was the experimental Assassin's Creed multiplayer, but to win those games you always had to eventually get loud, start sprinting, use gadgets and perks to rough up the opposition. 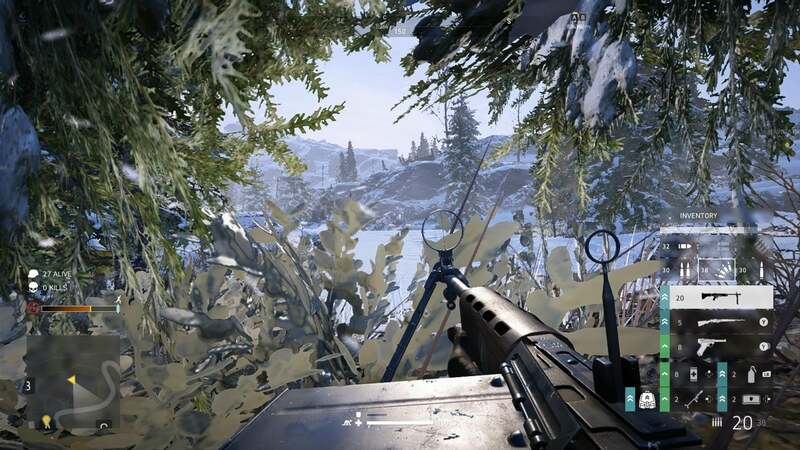 Battlefield V certainly can and very often will get very loud all around you, but when played smartly, you can move through the map like a ghost in ways the genre and the series have both never seen before, and that's an exciting proposition if you're a fan of either.